We arrive in Mexico City late, and won’t even be there for 24 hours before flying out to Tuxtla ….. this presents a real dilemma for us, requiring us to narrow down the places we eat. We’ve eaten our way through CDMX more than a few times, and on a restricted time frame, but this will be the shortest eating walking, walking in order to eat stop. EEK. I’m already dreaming of the places to quickly stop for a bite. Churros are a natural start for us! This place, El Morro, is one of the oldest Churreria spots in the city, and they are delicious. It is usually easy to get a table early in the day, but you should see the lineups late afternoon and into the night! 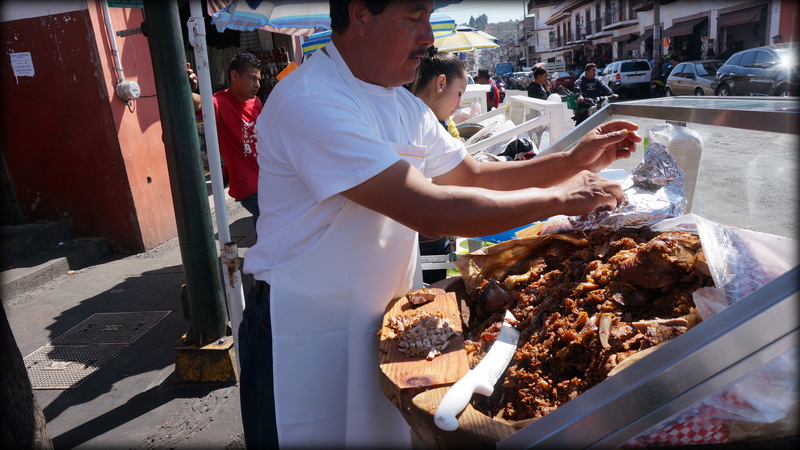 Next head to a mercado – the food is always amazing in the markets, and once we’ve had our coffee and churro it is time for a savoury bite ….. how about carnitas? These tacos are mouth watering pork goodness. Every bit of the pork is waiting to be chopped up and served in a taco. We loved the tortillas they made at this stand, they have fresh herbs in the tortilla masa and added so much flavour. No shortage of amazing toppings for your taco. Time to lighten things up a bit …. how about some fruit? These cups of fruit and vegetables are available everywhere and bursting with freshness. Look for these vendors on the streets – you can choose whatever you want in your cup! How about a little ceviche next? So refreshing and absolutely delicious. When you walk this much, your little 5 year old legs need a boost from big sister …..
La Docena – our favourite oyster bar. These blue crab tostada’s with habanero foam are the bomb! Served with a crisp white from the Baja region its a perfect bite. Crunchy oyster croutons served with fresh greens and creamy avocado – love this salad. Save room for dessert – these pastries are a great way to finish off a day. Less than a day to eat, so many bites waiting …… we will get off that plane with an appetite and start walking! We are in an area famous for their carnitas …. which totally explains why we would hop in a collectivo taxi, then another taxi for a 23 k trip to eat them, right? Right? I’m sure anybody would do the same. What are carnitas you ask??? Pork! And, plenty of it. Basically, seasoned pork simmered in lard until tender. That simple explanation hardly does the dish justice though – you have to try it to believe it. Following great advice from a couple of bloggers – Cristina at MexicoCooks! and Don Cuevas at My Mexican Kitchen, we indeed made the trek to find a specific carnita stand …. the one under the street light in Quiroga ….. The one stop light in Quiroga, Michoacan. Carnita heaven. We wandered the length of the vendors, with each one offering a bite of their pork. Eventually we decided that our instructions must mean the one directly under the light, Carnitas Polo. 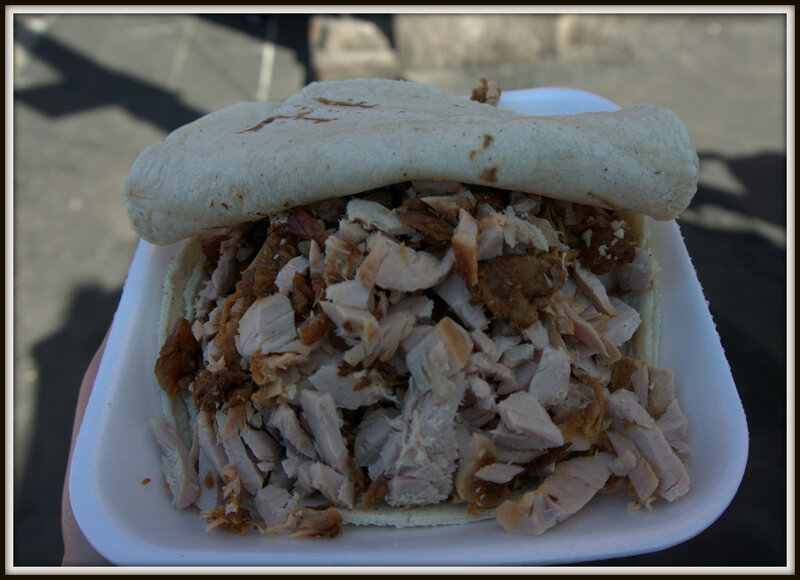 Every single one of the vendors had this much pork under cover – absolutely delicious and mouth waveringly tender. 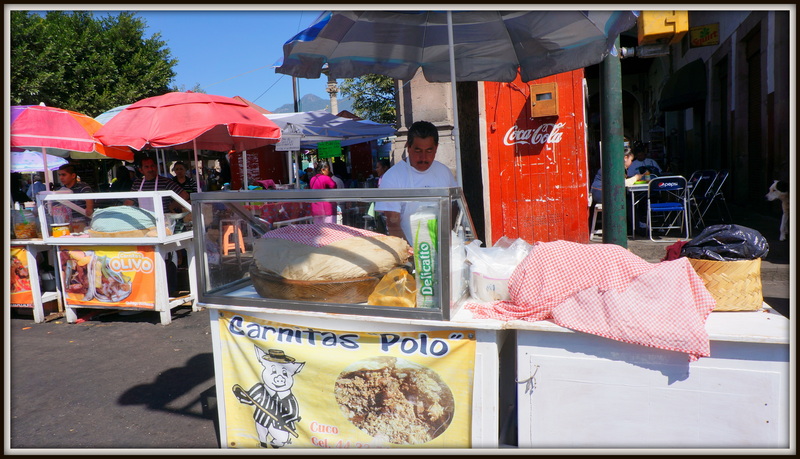 Here it is – your “go to” carnita cart in Quiroga, Michoacan – Carnitas Polo. Yes, this is 1 taco. 30 pesos of the best carnita in Mexico. 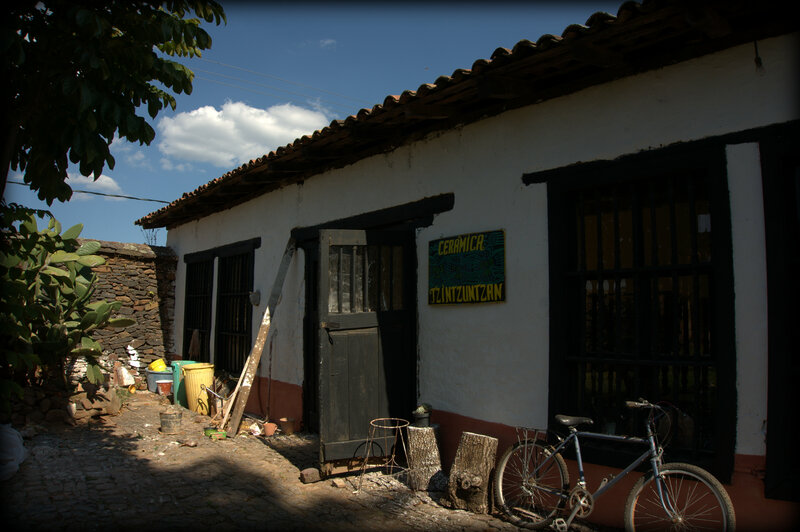 Go to Michoacan and see for yourself! Buy some guacamole from another vendor, a soft drink from the stand with tables and get set to be amazed. Obviously we needed to walk a bit after that, so we walked to the other end of town and hopped a collectivo taxi to Tzintzuntzan (pronounced roughly “seen soon san”), and it means Home of the Hummingbirds. 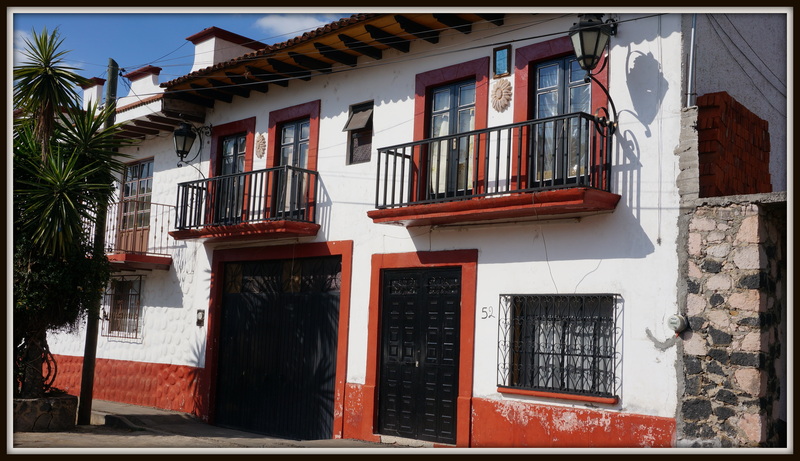 Such a beautiful little village – all the buildings painted in the style of Patzcuaro in white and red. Typical casa, most of the homes and buildings look just like this. 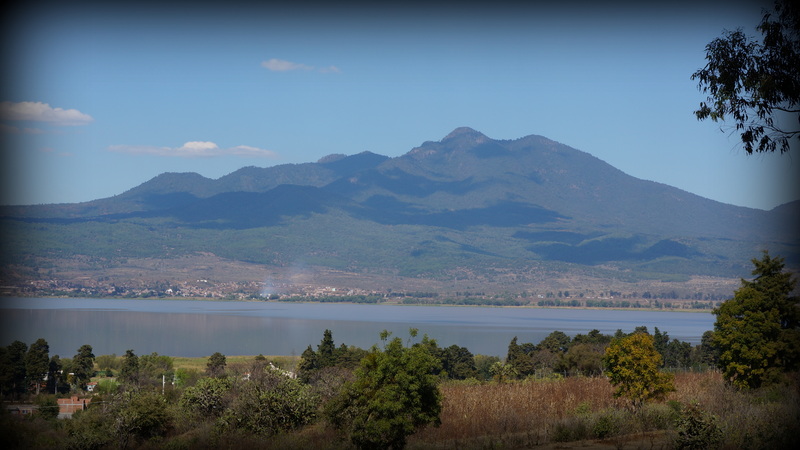 Tzintzuntzan is so beautiful – Lake Patzcuaro is beautiful to look at, but unfortunately I don’t think you would want to swim in it now! 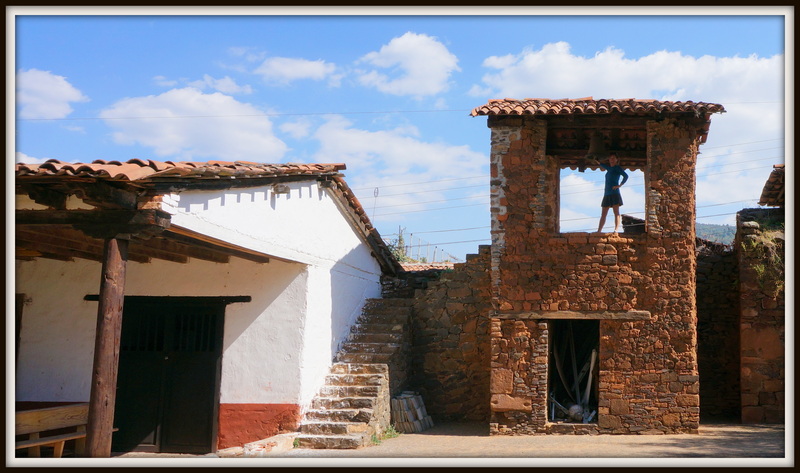 There is something about these villages that have been classed as “Pueblo Magico”. 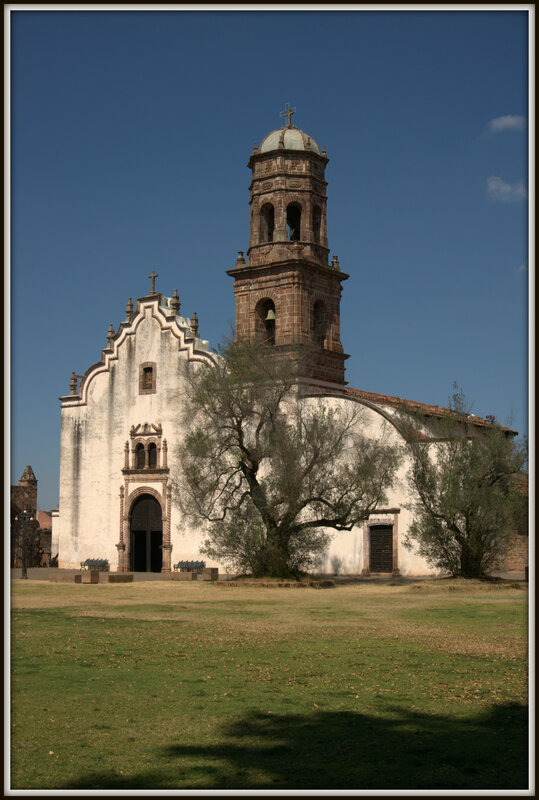 We first toured the Convent of Santa Anna. 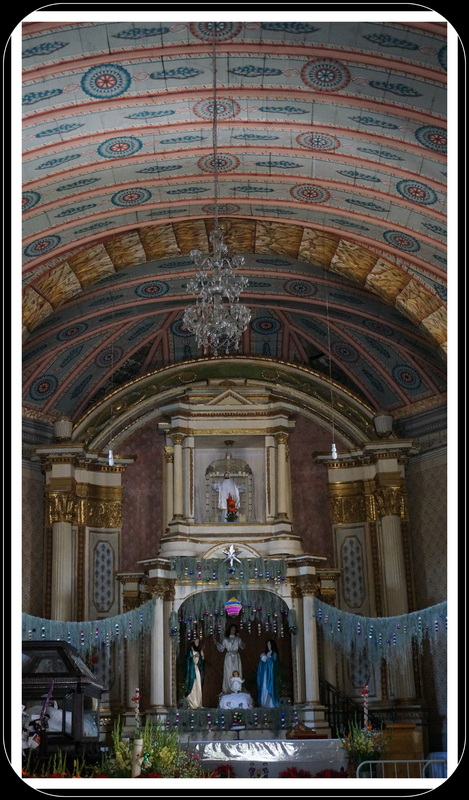 The community itself is responsible for the maintenance and upkeep of this site, and it is probably the most beautifully restored convent we have encountered, and we have seen more than a few! 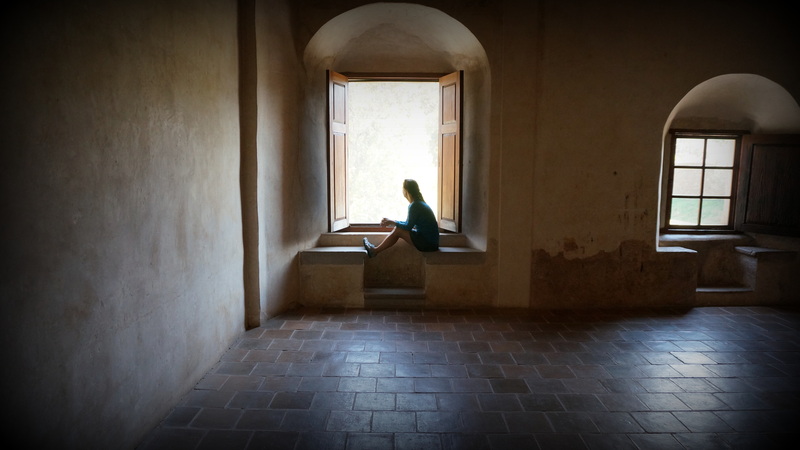 I’m not given to flights of fancy, being more of a linear thinker, and one that wants things to make sense but there is something about these convents or cathedrals that speaks to me and I either feel greatly peaceful or tremendous unrest, anxious and can’t wait to get out. Not predictable in any way. This convent, built in the 1600’s, obviously gave me a great sense of peace. I could have sat in reflection for some time, just looking at the ancient olive trees in the garden. 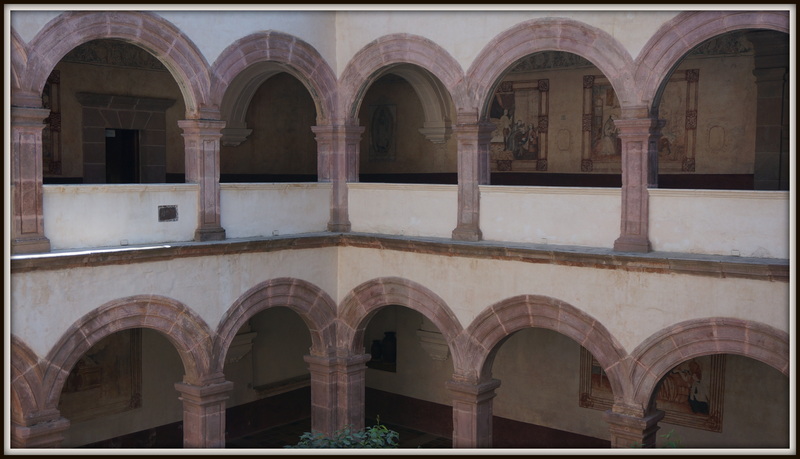 Interior courtyard of the former convent, it is easy to imagine the murmurs of voices past in here. 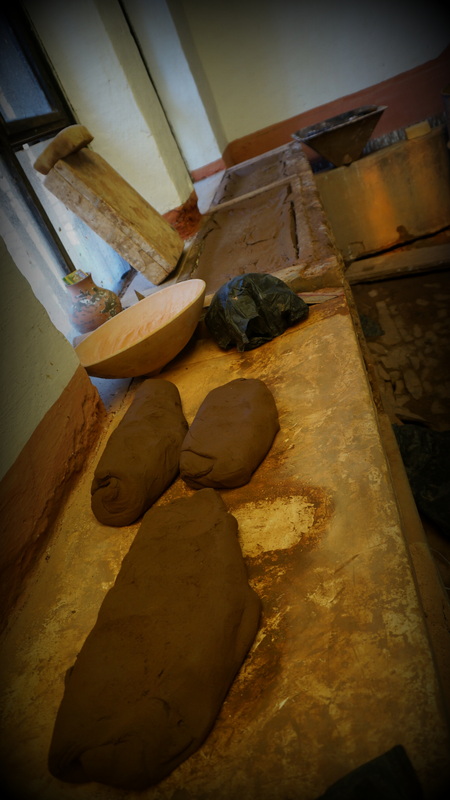 Typical comida (or kitchen) from days past – love all the pottery and cooking implements. From the convent, we wandered through the St. Francis of Assisi Church, surrounded by the ancient olive trees (more than 500 years old). The grounds are beautifully kept, so well maintained and filled with olive trees. I’m not sure whether it is because worshippers raise their eyes to the heavens when in the building or not, but all cathedrals have such beautiful hand painted ceilings. To this day they still ring this church bell in call to service. In the courtyard we were instructed to look to the corner of the structure and we would find a master of ceramica (or pottery) in the traditional methods of Michoacan. 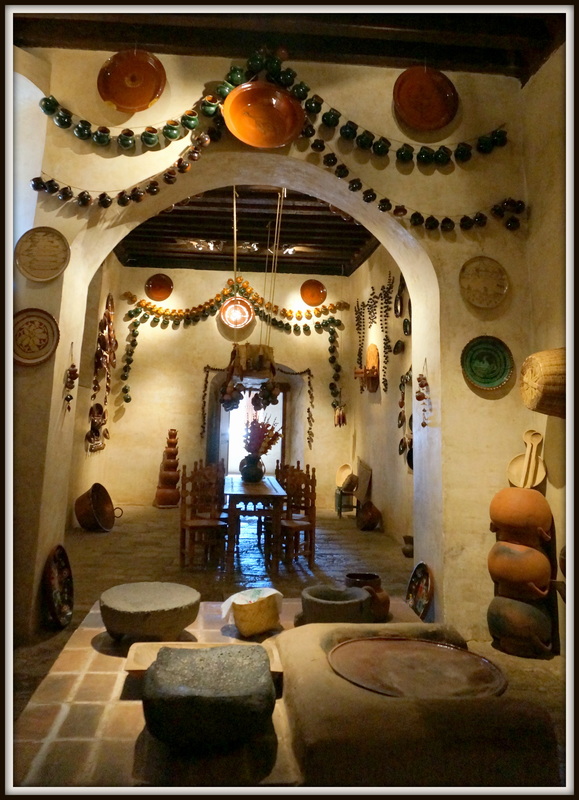 We did indeed find his rickety studio, part of the original structure built in the 1600’s, and he is still creating the most beautiful pieces of art. 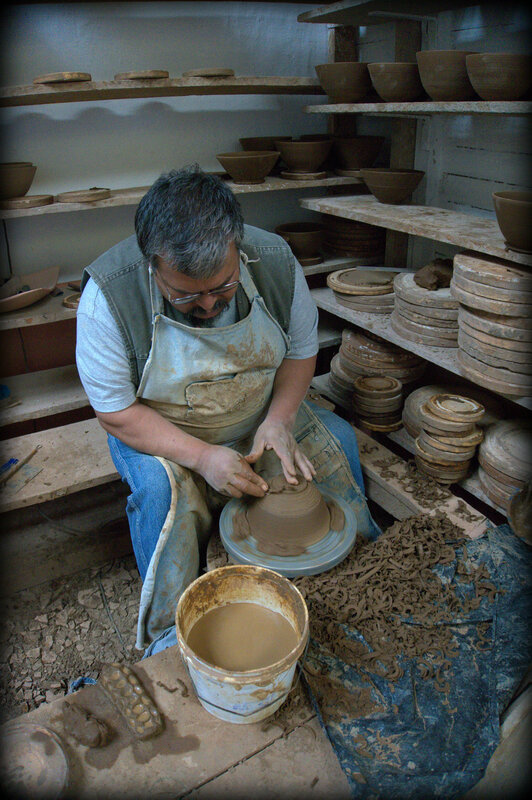 From lumps of raw clay brought in from the surrounding areas, he creates this workable clay. 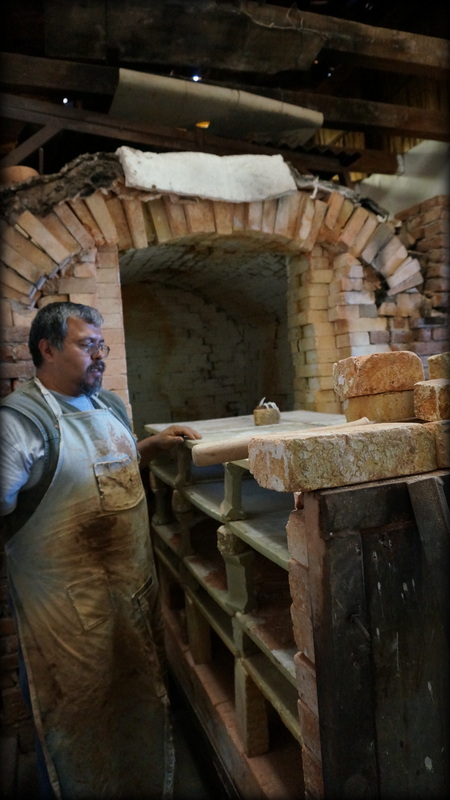 His oven – built over 30 years ago. 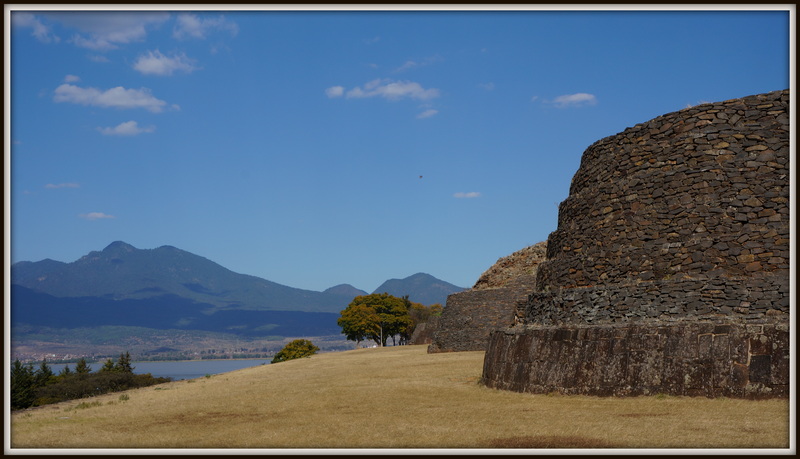 Tzintzuntzan has an archeological site also (honestly, I often think that every mound in Mexico is probably hiding a ruin of some sort!!) This one wasn’t very large but since we needed a walk, we hiked up the hill to view it. First time we have seen one like this – kind of a long straight stretch with rounded fingers coming out from it. Set on the hillside overlooking Lake Patzcuaro it would have been quite a beautiful spot. 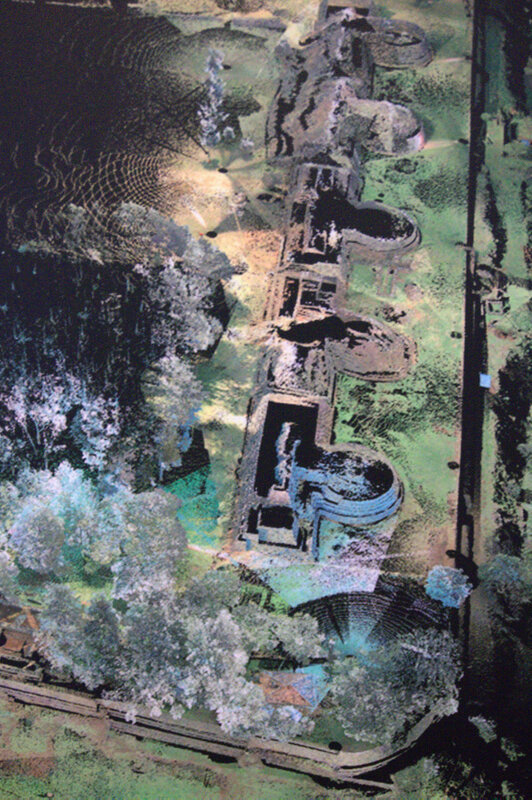 Photo of an aerial view of the structure at Tzintzuntzan. 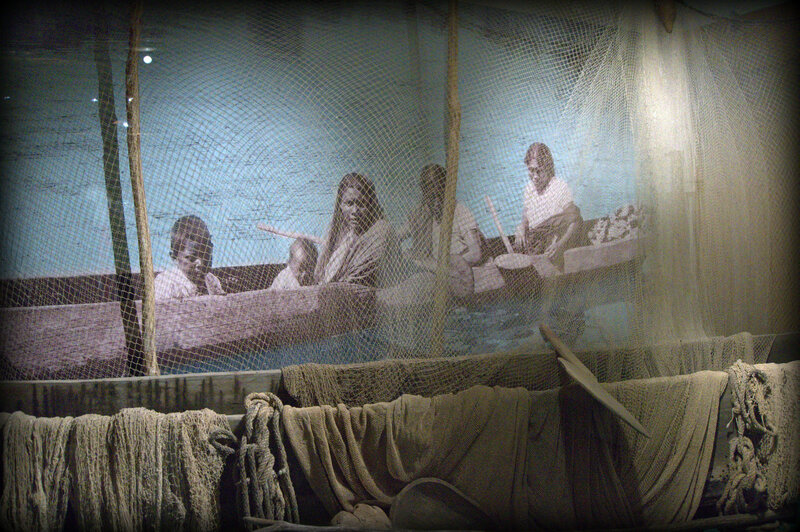 Typical indigenous fishing family in dugout canoe. It is easy to see why they chose this site. 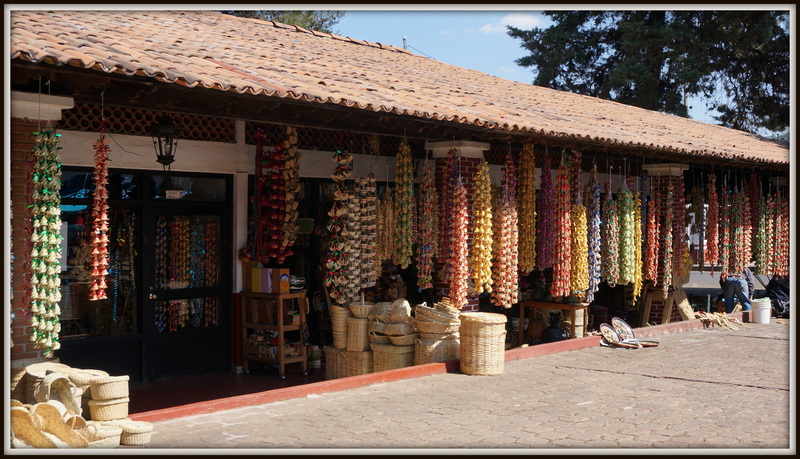 Every region is specific for their handicrafts, and often when you see something in one spot, that is the ONLY place you will see it!